Will my roof qualify for the Energy Star tax credit? All the residential roofs that are on houses that are your primary residences will qualify for 10% or up to $500 tax credit. The reason is that all our metal meets the Energy Star guidelines. Those guidelines say that our steel roofing reflects heat which creates reduce cooling costs in the summer. You could see cooling cost discounts by as much as 35%. A noisy roof is perhaps the most common question asked by potential metal roof owners and the biggest misunderstanding about metal roofing. Most of us have overheard the phrase “like rain on a tin roof.” Plenty of people have been in a metal building or barn during heavy rain and have heard the beating rain and think that it is the way all metal roofing sounds. However, this isn’t true. Most roofs being installed is with sturdy conventional sheeting when placed straight over solid roof sheeting or shingles. In the buildings in which you can hear the rain, the roof was applied with purlins. Which means, there is no solid surface between you and the metal roofing, producing the sound of the rain to be heard. Because your new metal roof is going to be installed over a solid surface, around 85% of the sound that you would have heard on a roof applied on purlins will fade. The clatters of rain on metal roofing are only about 10% noisier than shingles. Will the metal roof rust? While there is no material fabricated by man that won’t dissolve due to mother nature, all our steel roofing comes with a factory warranty that does include rusting. Will heat and cold affect my roofing or produce condensation inside? Metal does enlarge and contract slightly with cold and heat. This is typically not a concern for metal roofs with lengths under 35 feet. For more significant commercial metal roofs, a clip system is utilized to permit movement. Regarding the condensation, there will be some condensation. Nonetheless, the shingles that stay under your metal roofing or the use of our air foil insulation serves as an underlayment to stop this issue. How will installing a metal roof affect my home value? Many realtors are assisting in schooling potential buyers on the advantages of metal roofing, which in most cases contribute to raising the value of your home or business. When faced with the specialists associated with purchasing a new property, most buyers are pleased to purchase a home or business with a metal roof. These property owners are happy because they understand that instead of having a possible expense of having to replace or repair a half worn out roof in the next few years, they are purchasing a property that has a maintenance-free roof for a very long time. I’m just not sure I’ll like the look of a metal roof. 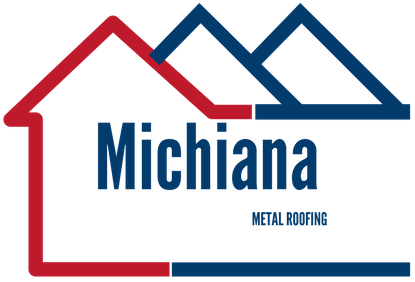 Metal roofing has come quite a long way in recent time. There has been an extensive assortment of styles like metal shingles, shakes, slate, and tile. We provide metal roofing for every budget and taste. How will a metal roof hold up during heavy wind? While metal roofing won’t keep your home or business together during a tornado, when installed by professionals, it is rated to endure winds up to 120 mph. Time and time again during adverse weather, metal roofs have stayed intact while neighboring roofs were damaged. A testimony to this was during Hurricane Ike in Texas. There were homes with metal roofs that were undamaged right beside homes with traditional shingles where the whole roof was destroyed. Once the wind wrenched up the shingles, the storm started causing damage to the sheeting underneath. Not only did the metal roofs stay unharmed, but it safeguarded the integrity of their residences. Will the metal dent during a hail storm? While minimal surfaces can stand up to golf ball size hail, our class 4 impact resistant metal truly withstands so exceptionally well during a hail storm that a lot of insurance companies will give you a deduction on your insurance premiums. This is mostly true when installing on a solid surface (not like purlin used on barns, etc.) All our metal is top-quality class 4 impact resistant steel.